Ambient particulate matter levels influence air quality and are an environmental risk factor, especially in megacities. 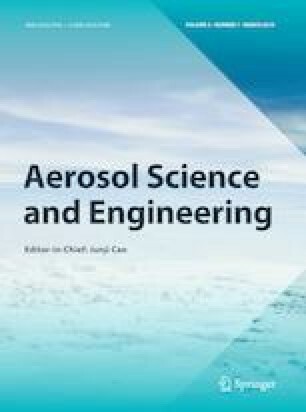 Meteorological factors modulate the ambient concentration of particulates in the atmosphere and hence, human exposure, visibility degradation, and other environmental effects. It is, therefore, crucial to forecast particulate matter levels. Various methods have been used to forecast atmospheric particulate matter level. The present study uses fine particulate matter (PM2.5, particulate matter with aerodynamic diameter ≤ 2.5 micrometre) data from two megacities in South Asia to construct forecasting models—autoregressive (AR) and regression model and attempts to test the results. Delhi and Kolkata are the two cities for the study and data period is 2015–2017. Seasonal and diurnal trends are presented. Mean concentrations during the study period were highest in winter with daily concentrations exceeding the prescribed safe level by 3–7 times at both cities. Afternoon time was found to be the best time in a day with low particulate levels. Among meteorological parameters, temperature was found to have highest correlation (negative) with particulate matter at both the cities. Upon comparison with measured data for 15 days, it was found that AR model-estimated results do not exhibit the trend in the actual particulate levels, as is exhibited by the regression model estimations. The United States Embassy and Consulates in India is duly acknowledged for providing PM2.5 concentration data. RB acknowledges the stipend by Indian Statistical Institute during the course period. The authors are thankful to the two anonymous reviewers for their constructive suggestions.